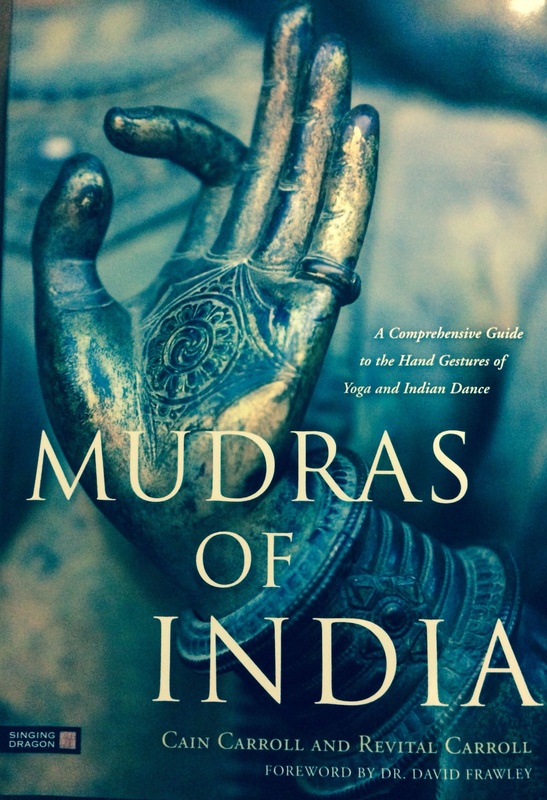 Learning about mudras and their links to the elements means that I now look at my hands in a different way. As noted, this is one of the dimensions I have covered on the elements in India, based on books and online sources of information. The ‘Enchanted Forests‘ blog provides a personal perspective that helps brings these stories to life. This mudra signifies knowledge for those who were wondering. Mukul’s blog, in his own words, “is about discovering the magic of forests in every aspect of life from a small plant in a metropolis to the forests themselves.” It shares his joy of, and pride in, his local environment and India’s rich culture. Each post is plentifully illustrated with photographs, which is one of the attractions. Often Mukul provides insights into the medicinal uses of the plants, Indian customs, and connections with other countries that otherwise would be hard to discover. He writes about more than forests, thus sharing a broad spectrum of Indian life and lore with his readers. 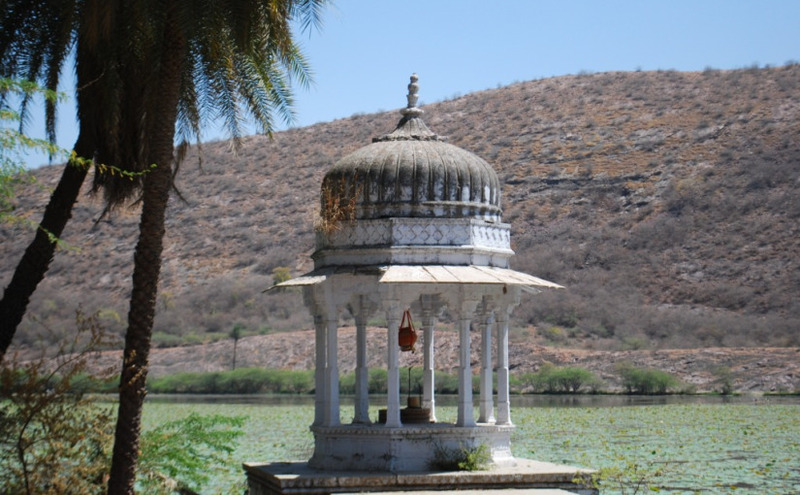 This image comes from a post by Mukul on Lotus Lake in the desert State of Rajasthan, an oasis surrounded by palaces and Temples on the banks. Mukul travels widely in India and posts frequently so there is always something new to discover. Nature conservation is an underlying theme in his writings. Source: ‘Enchanted Forests’. Not surprisingly I read Mukul’s posts with an eye for the elemental connections. In a way they are embedded in every post as the author writes about aspects of nature that have caught his attention on a day to day level. A recent post that caught my eye was titled ‘A River Worshipped‘. 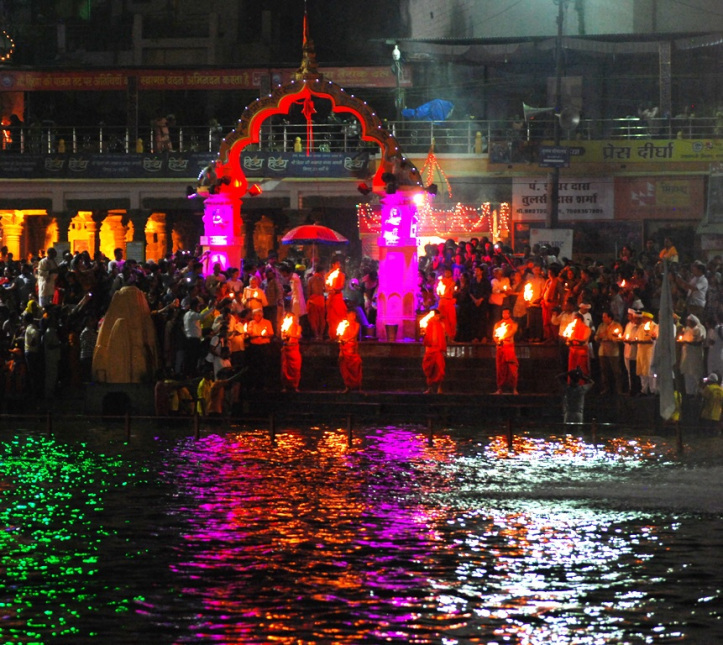 It shares the story of a remarkable ceremony held on the River Kshipra in Ujjain every 12 years. The colours and imagery in the photographs are stunning. Quoting from Mukul’s post “The “Aarti” or offering prayers with Fire as a Holy Witness is an ethereal sight as the banks of the River Light Up with Oil Lamps.” The essential element of water is a recurring theme in Mukul’s posts. So is appreciating the beauty that surrounds us, an important reminder to us all. Aarti, or offering prayers, on the banks of the River Kshispra, Madhy Pradesh, India. Millions throng the Ghats or the river banks and sing in unison daily during the entire month. A sense of the intensity of this celebration is reflected in this image. It highlights the interplay of fire, water and worship – a common theme in many cultures. Source: ‘A River Worshipped‘ by Mukul Chand. Telling stories through the medium of blogs is enhanced when you can draw on personal experience. Mukul’s personality and passion come through in bounds in his posts. With over 5000 people following what he writes, his observations have captured the attention of many. Of the tens of millions of blogs in the world, I am highlighting Mukul’s because of its spontaneity, energy and connection to elemental and enchanting India. It adds a dimension that only someone living in this intriguing country can bring. Thank-you Mukul! This entry was posted in Books & reviews, Fire, India, Magic, Philosophy, The five elements, Uncategorized, Water and tagged Ayurveda, Fire, India, Magic, Prakrti, rivers, Vastu Shastra, Vikram Seth, Water. Bookmark the permalink. It’s a pleasure to acknowledge someone whose writing you admire and learn from John. As you know, as a blog writer your not always sure of the reach of, or response to, your posts. I include links to your ‘Green Shinto’ blog where relevant. It is one that I also recommend to others. In fact you recommended John’s blog to me and I have enjoyed reading many of his posts. I shall now also follow Mukul’s blog. As John has commented, this is a nicely written tribute. I look forward to going on a journey through the forests and waterways of India, with Mukul as my guide. You should enjoy Mukul’s blog. It helped open my eyes to the richness of India, seen through the eyes of a resident shares his experiences in english. The closest I have been to this big bustling country is Kathmandu in Nepal. At some stage it would be great to experience India in person. Thank you Jann . Am deeply humbled and honoured by the lovely article you have posted. A wonderful way to start the day, Am sure your kind words will inspire many to travel and see the Beauty of Nature as well. My pleasure Mukul. Nature’s beauty is inspirational, as you say and show in your blog. I wish for as many people as possible to be able to experience it in their lives. thank you jann. am happy to have made a friend.